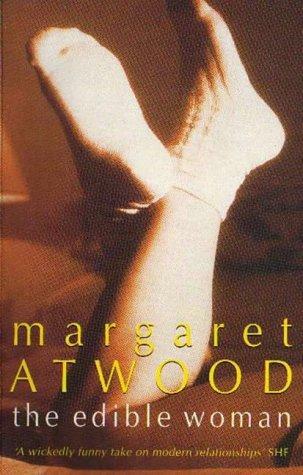 The Edible Woman is, strangely enough, the first time I'm reading Margaret Atwood. And I suppose it's an apt introduction, considering that this was the first novel she ever published. She wrote this book when she was around the age I am right now. Despite the evidence of feminist thought in the book, she mentions in the introduction that she wrote it in the era before feminism. And her thoughts resonate well with me, in my current stage of life. The Edible Woman is the story of Marian. Marian has just graduated from college, and is working in a company that conducts market surveys. She was dating an upcoming lawyer named Peter on the understanding that neither of them wants to get married right now. But out of the blue, Peter asks her to marry him, and she accepts. The rest of the story is about how she tries to adjust and change herself to suit Peter. The book is in three parts. In Parts one and three, Marian writes in the first person. She has a strong voice, she knows what she wants and why she wants it. Part two is the longer part, where Marian is referred to in third person, and she goes about an increasingly strange set of situations, zombie-like. She literally runs away from Peter one night, she meets a self-centered person named Duncan and lets herself be pulled into his self-centered world, she tries to self-destruct in the strangest possible ways. Her body stops accepting food - first non-vegetarian food, and then everything. Through it all, the reader is rooting for her. Peter isn't portrayed as a bad person. He just wants to be successful, and Marian, who is smart and presentable, will be an effective asset in his career. There was one image that particularly struck me. Peter and Marian are in bed, and Marian is lying on her tummy. Peter has placed his ashtray on Marian's back. He is smoking a post-coital cigarette and drinking a post-coital glass of alcohol. The normal Marian would have been humiliated by this use of her body as a table, but the new Marian says nothing. She gets up and makes Peter a drink when he asks for one. He removes the ashtray so that she can do that, and replaces it on her back when she lies down again. Of course, there's the obvious question - isn't it natural to need to change yourself when you experience such a huge and important event in your life? Surely, Peter would have had to adjust as well? True. But we see Marian quitting her job, we see her body protesting her decisions, we see her entering into self-destructive friendships. It's clear that this marriage is not something she wants. This is something that she's doing because of society's expectations. And other women are jealous of her for having found such a catch so early on in life. The book ends with another striking image. Marian finally realizes what is happening to her. She bakes a sponge cake in the image of a woman, and she offers it to Peter. Peter gets the message, and leaves. But in the final twist, the cake is finally finished by a person who is probably even worse for her than Peter. Having liked my first taste of Atwood, I've now resolved to read more of her. Next up is her Booker prize-winning novel, The Blind Assassin. Try 'Cat's Eye'. It's gorgeous.